It's Holy Monday today and for most of us, it's officially summer. It's vacation time! Actually, we haven't planned our summer vacation yet. We haven't allotted budget for that yet. But earlier, Rhambo and I talked about going to Zoobic Safari in Zambales before next school year starts. After all, we had our time in the pool last December. And LB will take swimming lessons next month. So we opt to take our little princess to a zoo. But for those mommies with new babies, who are excited to let their tots take a dip, I'm sure you won't let this season pass without going on a summer spree. Wait and hold on. Do you have all the baby essentials before heading out to the beach? As much as you'd love to garb your baby girl in a skimpy swimsuit, a rash guard is the best option. Now I know better, I used to make LB wear a bikini a la Miranda Kerr. Haha! And don't forget the sunblock! 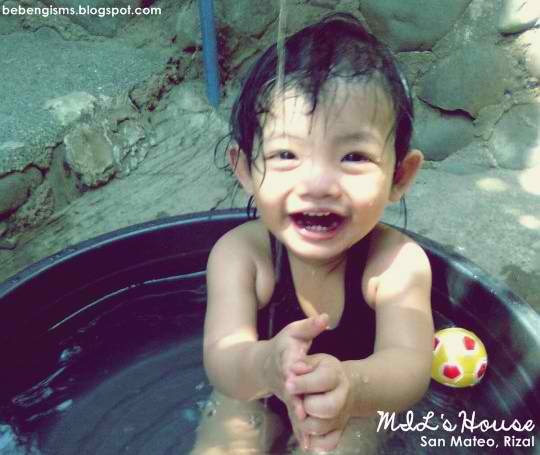 But amidst the OC-ness that any doting mom has, let us not forget to have fun with our water babies. Two days from now, I will be celebrating my first blogoversary; and you know how happy I am that I reached this point. So I tapped a few past sponsors to celebrate it with me; and one of them is Martina's Corner Online Shop, whom I have worked with here. Its owner, Mariel, gave swim rings for my two lucky readers! Wonder what a swim ring is? It's similar to Swimava. 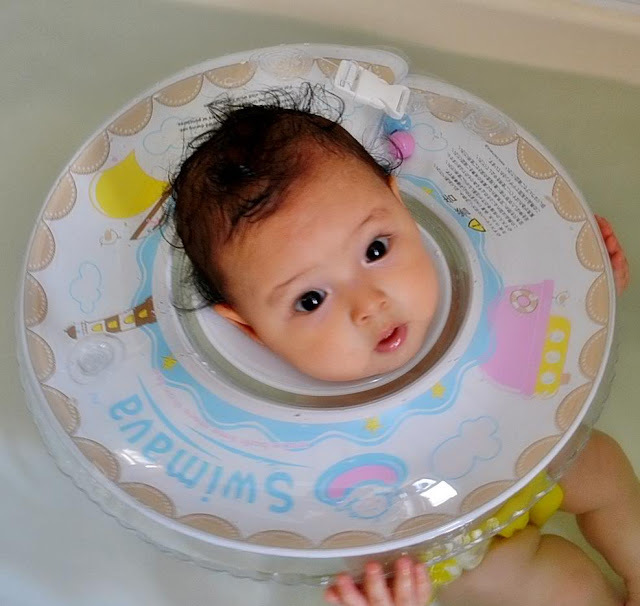 It's a swim ring for infants! How cute no? since baby is just 4 months, i'll bring baby in an indoor pool this summer to have fun in the water. Include full name, baby's gender and email address. ill bring my baby to flamingoes resort near our place.. Where there was a statue of finding nimo, little mermaid etc. My daughter was so enjoy when she was there. Where will you bring your baby this summer? in our community, there is a swimming pool so i guess i'll just let my son swim there. it's cheaper and it's also nearer to our house. Since we're here in Visayas region and near in Boracay hopefully my son loves BORACAY so much we've been there last year. Will bring skin protection for my Judahbebs, swimming outfit and floaters so he can joy the sun and water. beach or private pool, budget friendly. I'm taking my daughter sa Cebu, habol sa Summer! :) for now, inflatable pool lang. I will bring my baby girl to BOHOL this summer!! !